Panalo na naman si Jones. Mas maganda laban nila Nunes! ^yep. A few rants posted sa Cignal TV thread. Its not between UFC and Hyper. Nag switch na sa ESPN si UFC at hindi siguro kaya ni Hyper ang cost with ESPN? Or because walang ESPN si Cignal. Parang back of heaf naman un suntok. Sad to see BJ Penn and Carlos Condit still fighting in the octagon. Dapat hindi na sila lumalaban. Penn is still one of my favorite fighters though. UFC sa sunday laban ni Dillashaw? what channel kaya? ^ESPN. streamed via ESPN+ as well. Able to watch now using Fox+ streaming. Laptop to TV na lang. Yep. He did. 33 sec fight. Sana mag meet sila sa 135. Feeling ko hirap si D sa weight cut. Ahh di natural weight ito ni D? Nope. He had to cut 15 pounds. 135 talaga siya. Cejudo offered a rematch at that weight so hopefully that happens. Johnny Walker. wow! good thing for him the illegal kick did not land but man, he's someone on the rise! good fight card today. let's see how Usman fairs against Woodley. Hoping Anthony Smith gets the W against Bones. wala na ako amor kay Bones talaga. sinayang niya legacy niya. hanggang ngayon kasi puro katarantaduhan pa din siya eh. Curious lang. 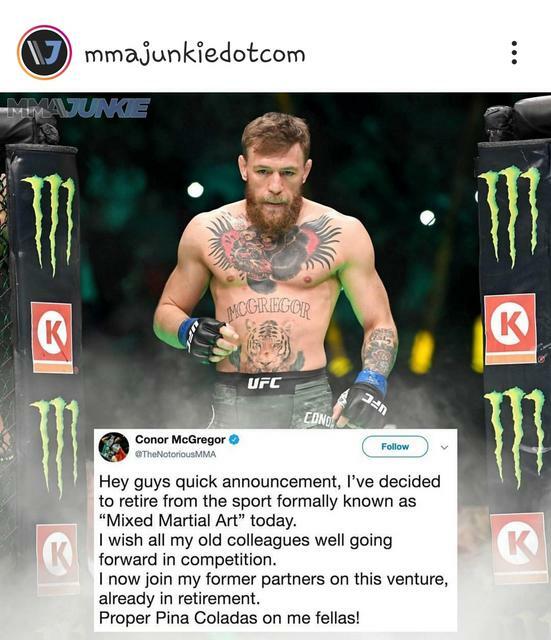 San ka nanonood ng UFC? Hanep first fight between Cody Garbrandt and Pedro Munoz! Patibayan ng panga! I’m using Fox+ Free trial. I didn’t know na meron din palang free subscription ang Cignal. Masubukan nga yan after my free trial. ^meron subscriber log in which will redirect you to another log in screen. I don't know what Smith is doing. Maybe it's because he realized that he's no match for Jones. The same thing with Woodley as if he doesn't know how to fight. Usman dominated him for 5 rounds. 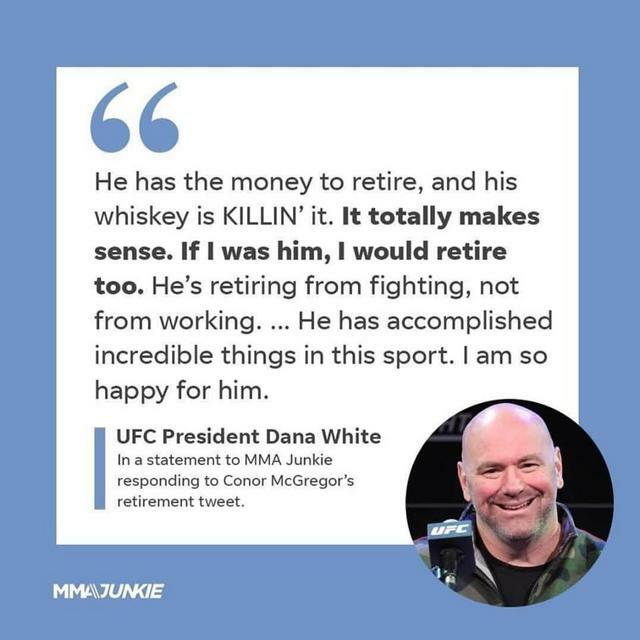 ^exact same thing Joe Rogan said about Smith. si Woodley parang wala din sa sarili. Best fight of the night pa din yung kay Garbrandt at Munoz. MIAMI -- Mixed martial arts fighter Conor McGregor was arrested Monday by American police for allegedly smashing a fan's cell phone outside a Florida nightclub. The 30-year-old Irishman was charged with criminal mischief and strong-armed robbery after Miami police said he allegedly slapped the phone out of the fan's hand and then stomped on it. Miami Beach police said they were called to the scene outside the LIV Nightclub at 5:00 am (0900 GMT), The Miami Herald reported. The police started their investigation and McGregor was arrested later that day at a nearby home and then booked into the Miami-Dade jail. According the arrest report, the fan tried to take a photo of McGregor using his mobile phone, valued at $1,000. After the fighter allegedly slapped it away and then stomped on it, he took the phone without giving it back. The robbery was caught on surveillance cameras set up around the club and the nearby Fontainebleau Hotel. McGregor is a mixed martial arts star who is best known for losing to boxing icon Floyd Mayweather in a 2017 boxing match. Bail was set at $12,500. McGregor was arrested last year in New York after police said he attacked a charter bus carrying several rival martial arts fighters, throwing a dolly through the window. He pled guilty to disorderly conduct and was sentenced to community service and an anger management course. ^ Oo nga. Parang si Ronda Rousey, ayaw ng bumawi sa nakatalo sa kanila, nag retire na lang. Could u blame him? Kht naman ako (or anyone else for that matter) with that money would not risk fighting again. Mahirap na baka magka injury pa or worse, CTE. Tsaka hirap magkaron ng drive pag sobra yaman ka na. Ibang iba na sya when he fought khabib compared nung kalaban nya si aldo, alvarez, diaz, etc.